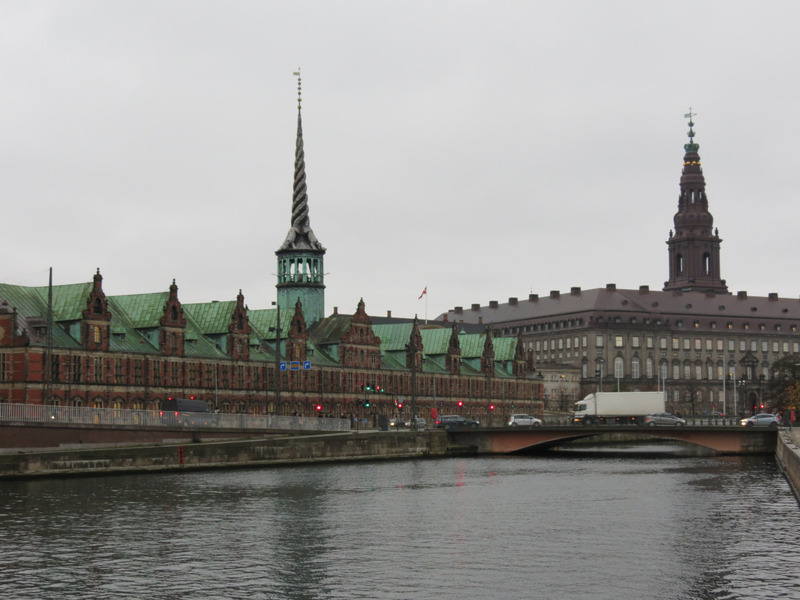 The Danish Capital gave me the first glimpse of Scandinavia, which for so long, I had been dreaming to see. 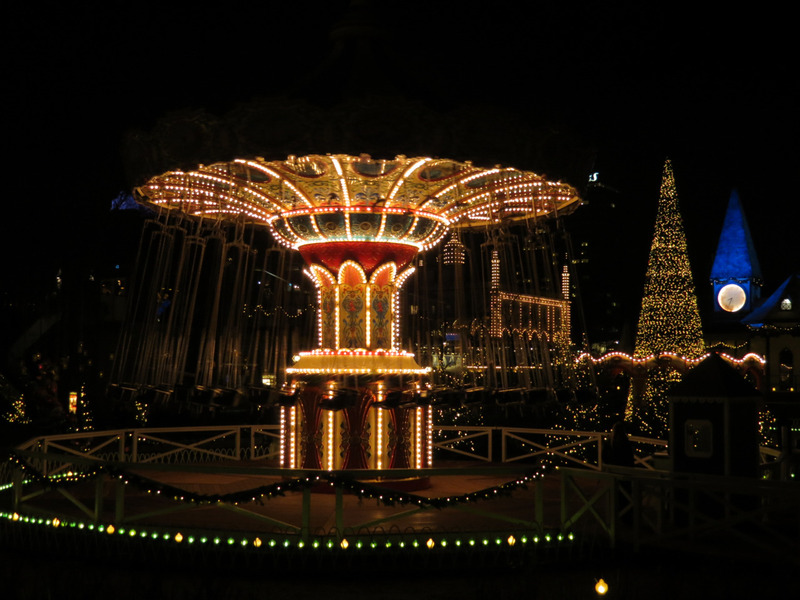 If you’re planning a trip to Copenhagen, these are the things that you must see and do, which will definitely make your trip memorable. 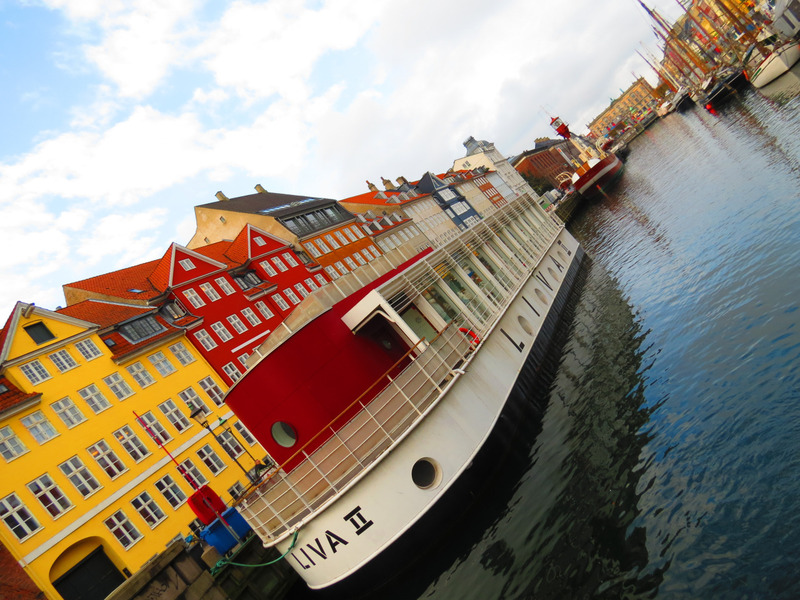 You’ve probably seen a photo of Nyhavn in a calendar, postcard, or magazine. It’s just one of those places that would be perfect as your computer wallpaper, as this brightly-colored district houses beautiful 17th to early 18th century buildings, lighting-up one of the most famous canals in the world. 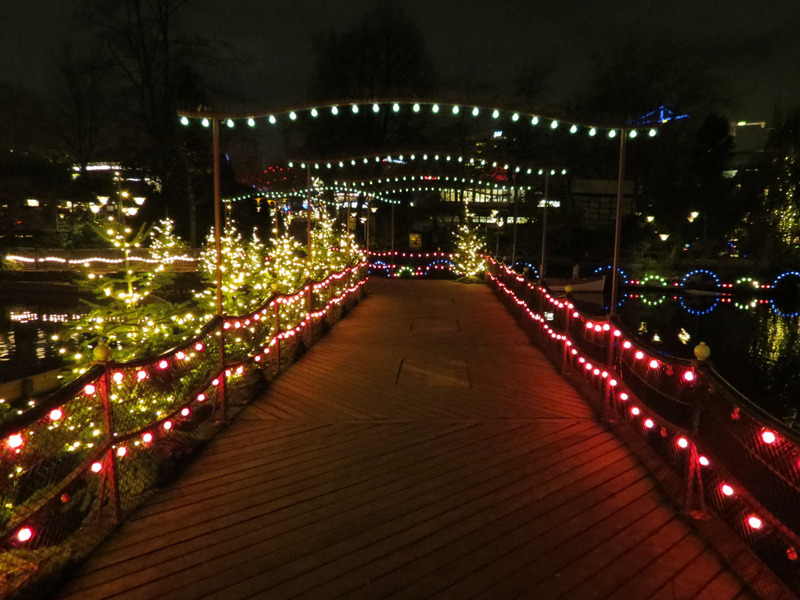 As beautiful as this place already is, it’s even more magical during the holiday season, as Christmas lights fill up each and every nook and cranny. 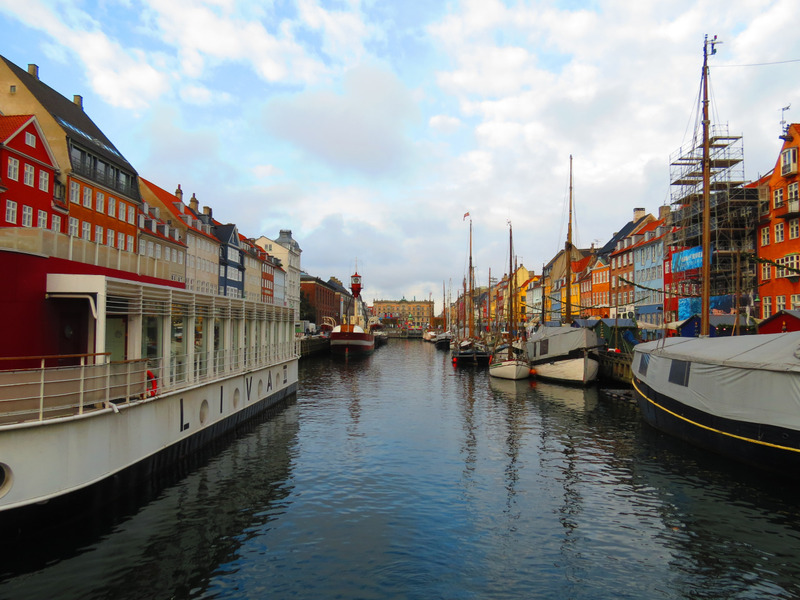 Nyhavn is lined up with a number of restaurants and cafes you could choose from, from where you can enjoy and just take in one of the loveliest cities in the world. 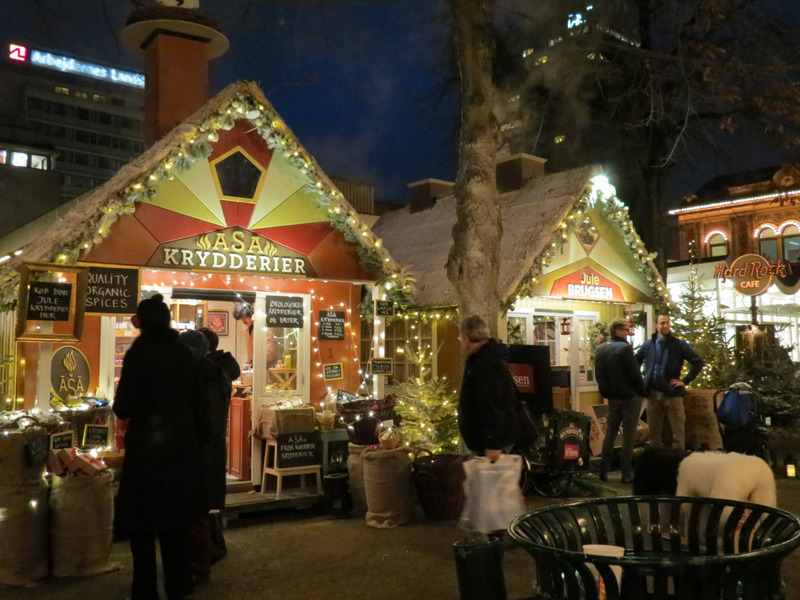 During the holiday season, there are stalls right by this area selling Gløgg (Danish mulled wine), which would be perfect while walking around this fantastic place. Though not as massive as other castles you’ll see in Europe, it’s humble size makes this attraction as lovely as its other bigger counterparts. 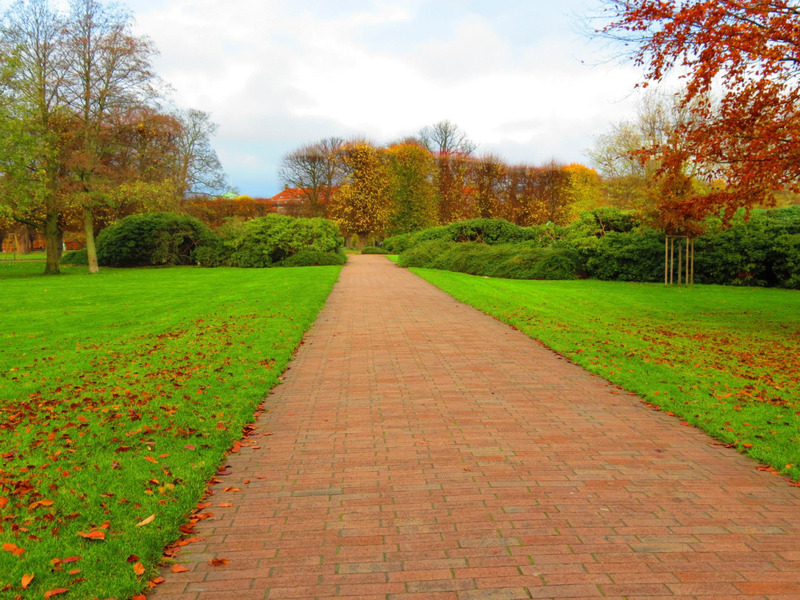 If you want a more in-depth look into this attraction, take a look at my previous post: Rosenborg Castle & Gardens. Its construction began back in in 1619 and still remains to be one of the buildings in Copenhagen that exhibit such character. 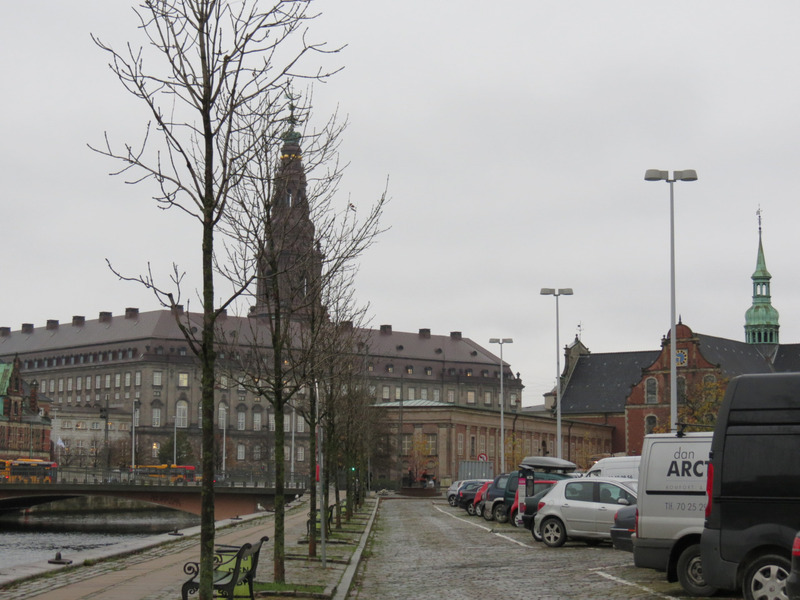 Pictured on the left side in the photo below: Børsen, directly translates to English as the Stock Exchange. 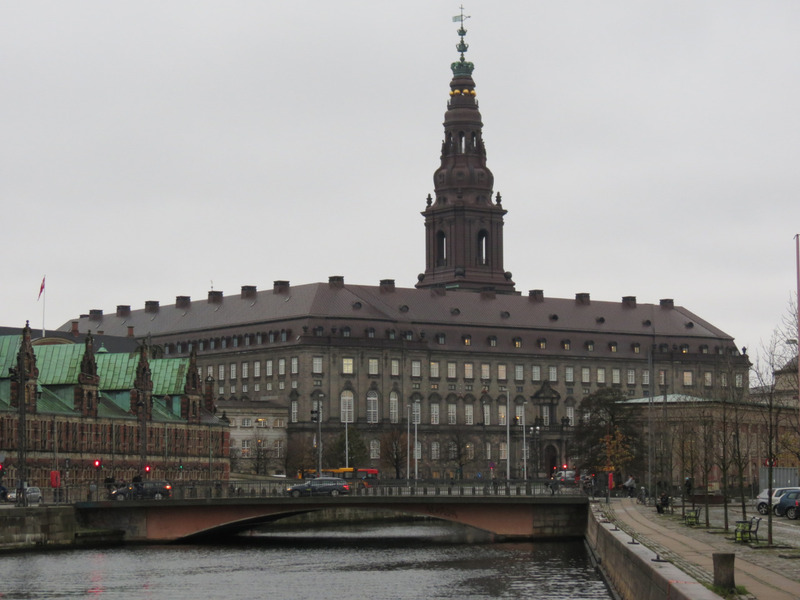 This historic building, however, now serves as the headquarters for the Danish Chamber of Commerce, living up to its original role to uphold and build this city as the centre in Northern Europe for trade and commerce. Though I didn’t get to visit the interiors of the palace and only saw it from afar, its exteriors live up to its neighboring Børsen. 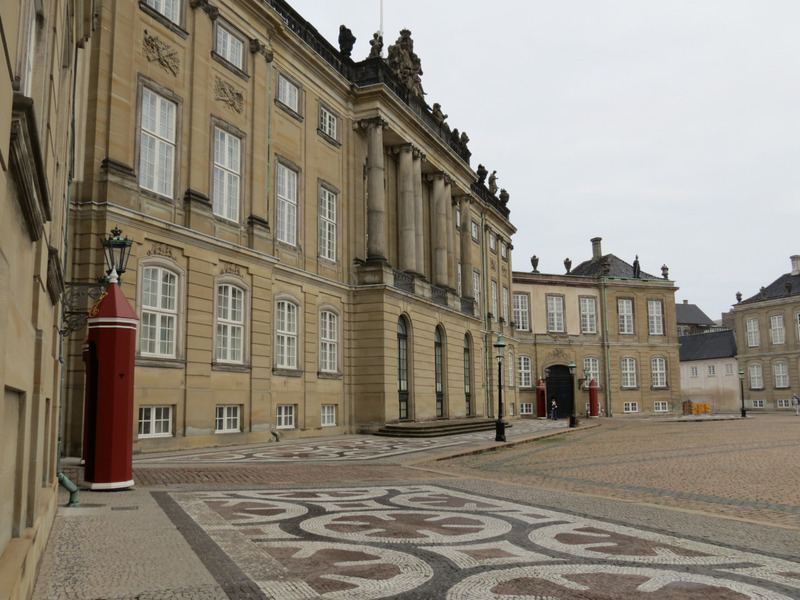 Home to the seat of the Danish Parliament, its Prime Minister, and the Supreme Court of Denmark, this building serves as the heart of the whole country. Both a palace and a government building, I can only imagine how lovely it is even more so from the inside. 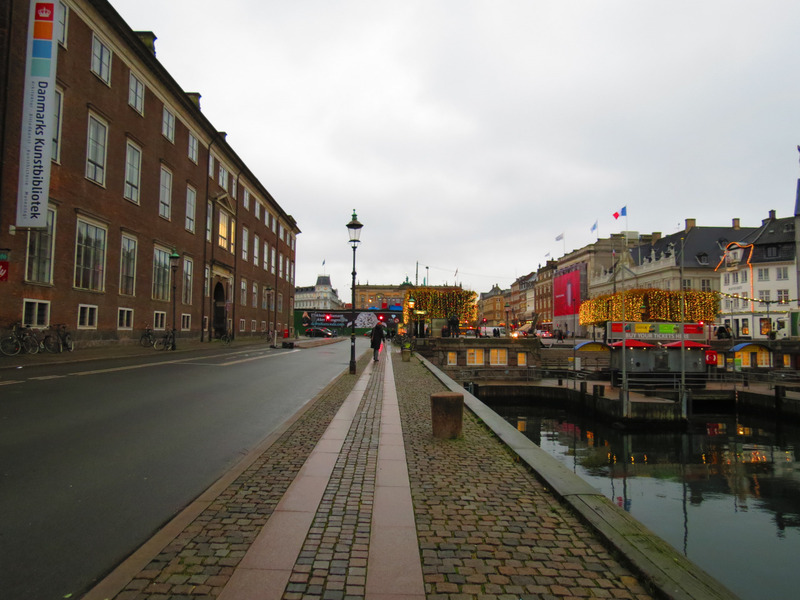 Previous to my visit to Copenhagen, I always thought Amsterdam was the most bike-friendly city in the world; but was told otherwise thereafter that the Danish capital takes the top spot for being the most bike-friendly city in the world. 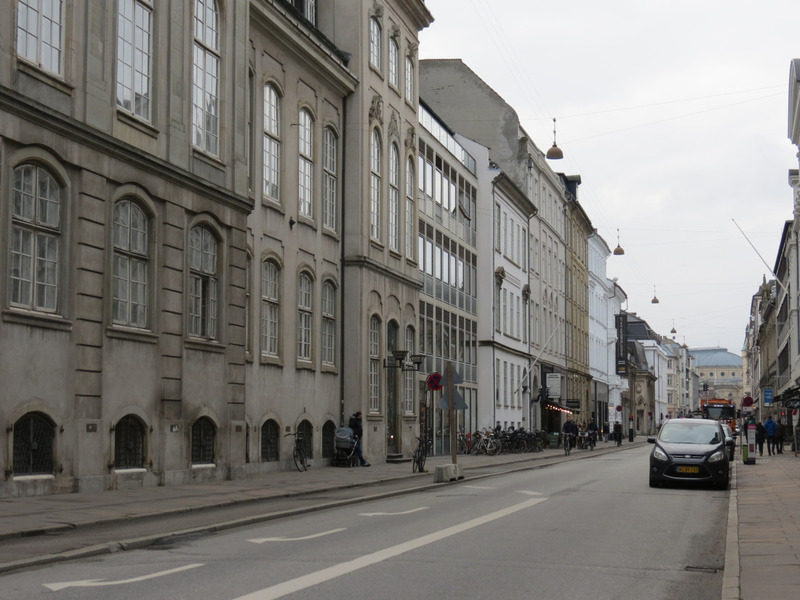 Not as evident in the photo below given that during the time and season I visited, not a lot of people were out in the streets, Copenhagen is a fantastic city to explore while on foot and on a bike. 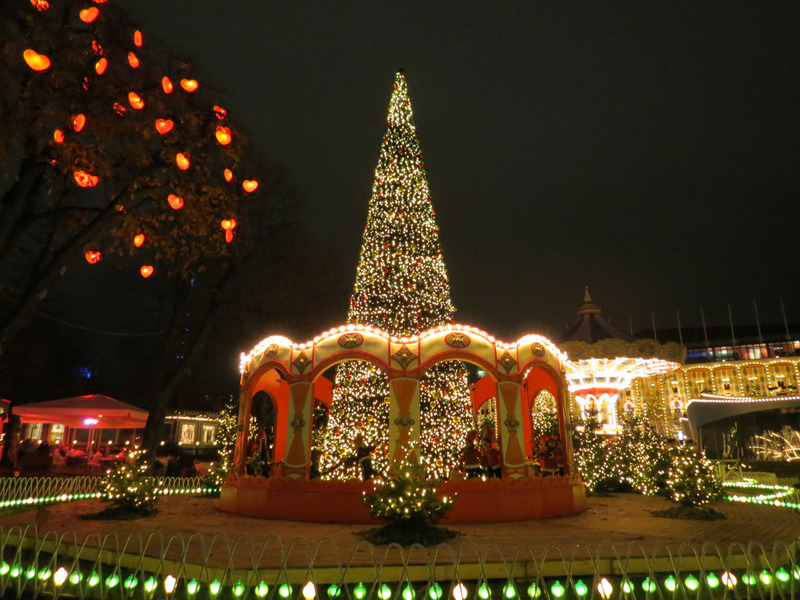 Tivoli is by far my favorite amusement park in the world, just because of how unique and charmingly decorated it is. 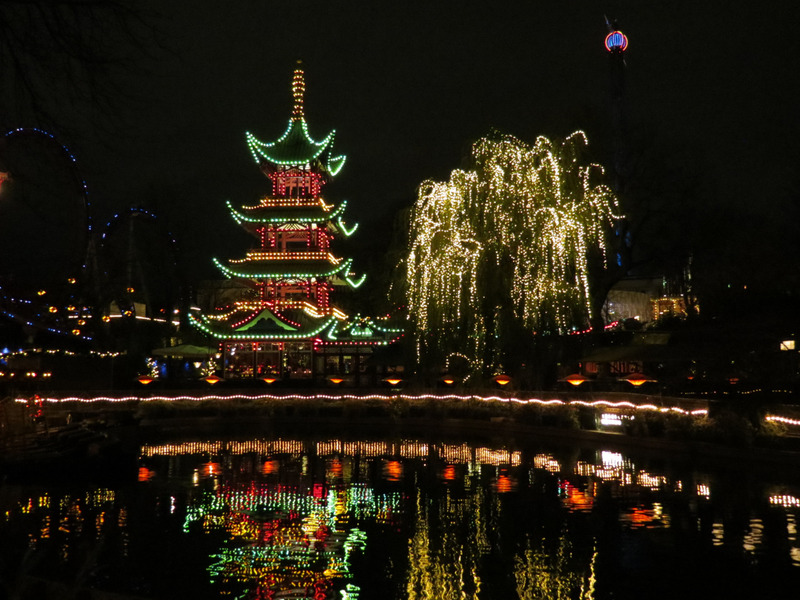 It may not be as massive as the more popular Disneyland or Universal Studios, but Tivoli exhibits so much character as it capitalizes on its lush greeneries and magical lights. 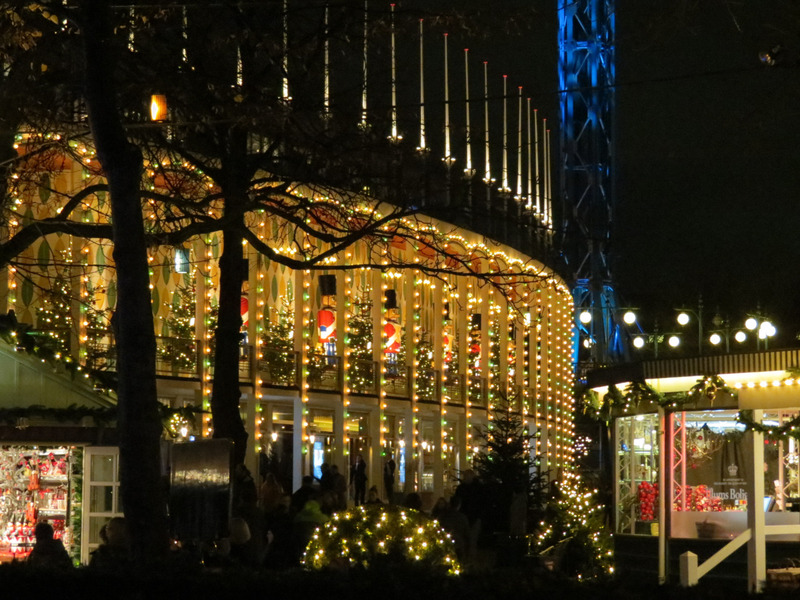 Adding to Tivoli’s charm, there are Christmas market stalls scattered all around during the holiday season. 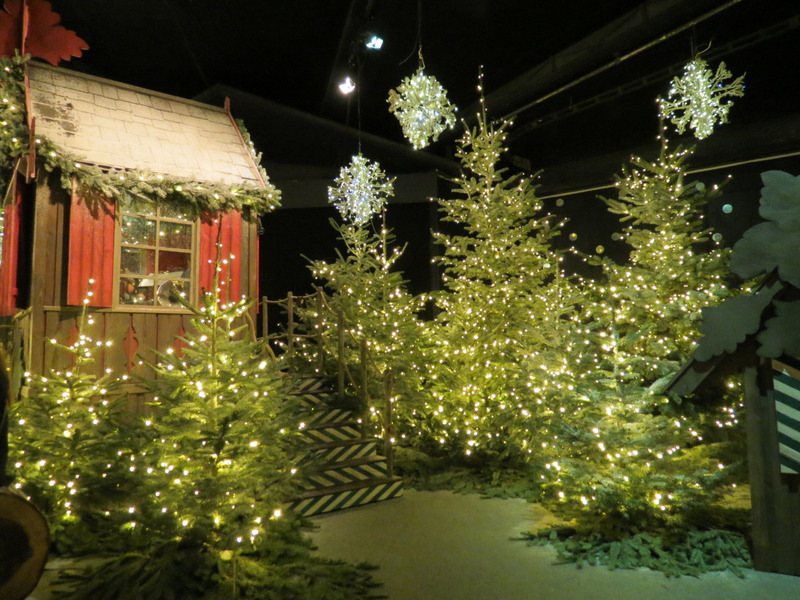 From mulled wine to small Christmas trinkets, you won’t go home empty-handed as everything being sold herein are fantastic finds. 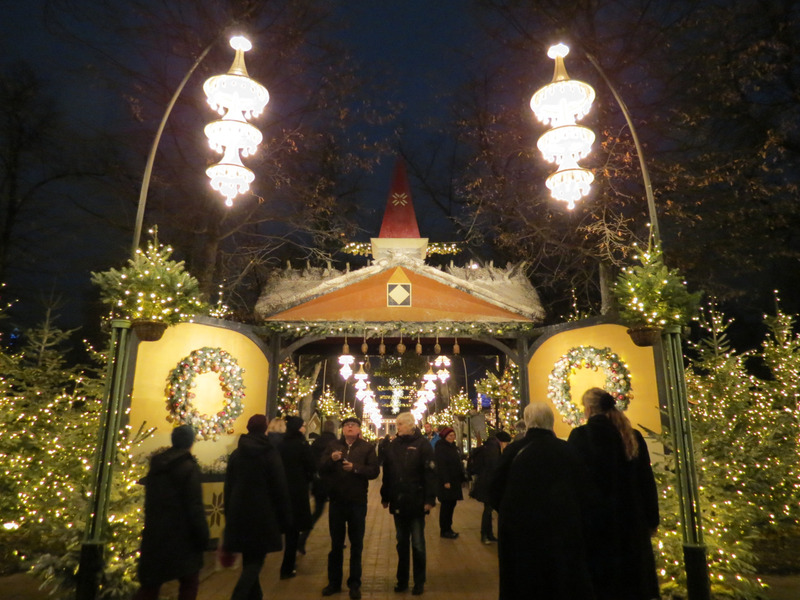 Unfortunately, I didn’t get to see Tivoli during daytime; it was nearing winter and sunset was earlier than I expected; but I believe it’s more magical during the night, as the whole place is beautifully lit-up. 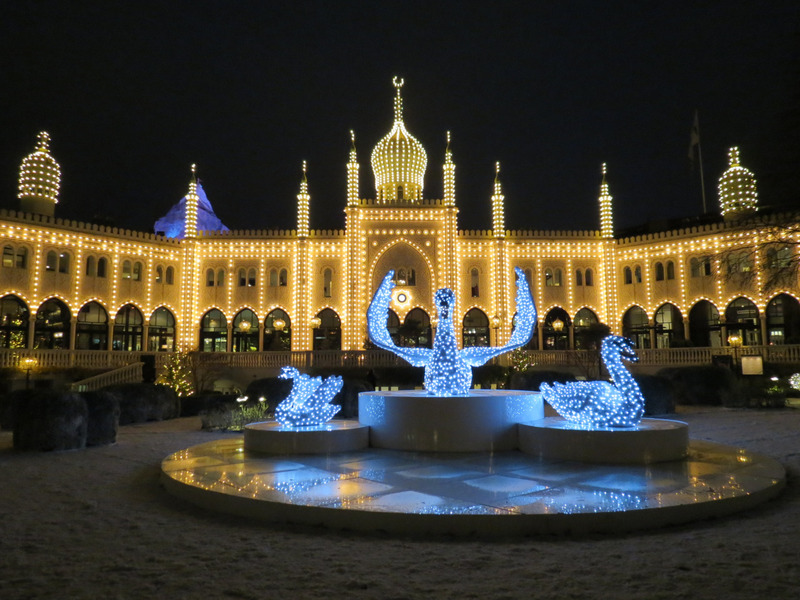 I originally thought these lights were only there during the holiday season, but apparently, they’re lit up during all the seasons that Tivoli is open. 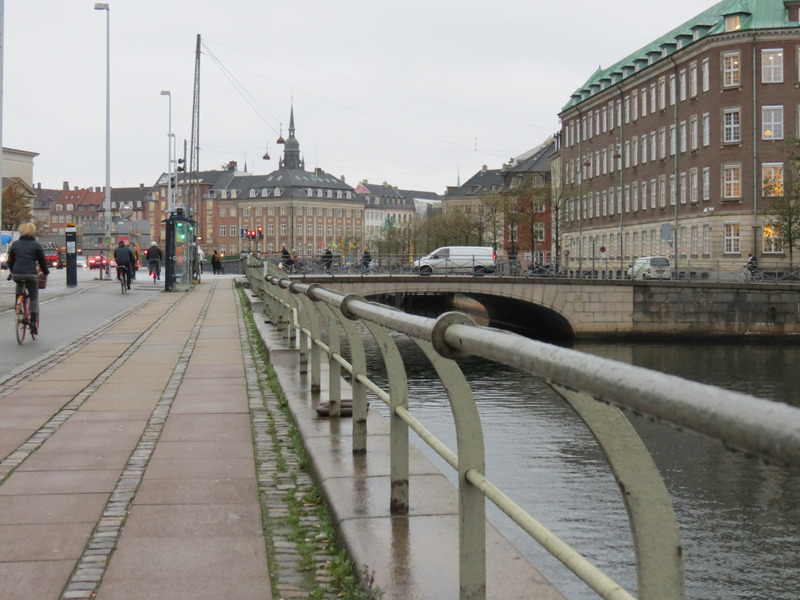 One tip I could given you when exploring Copenhagen is to go on foot (or on bike, as previously mentioned; though I went with the former). 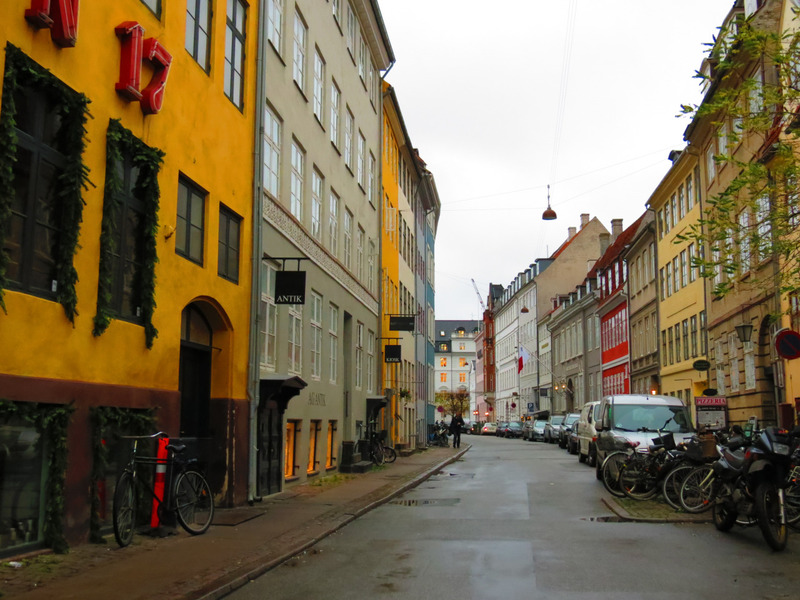 As you find your way to Amalienborg, you’ll notice that each street in this city has its own character. 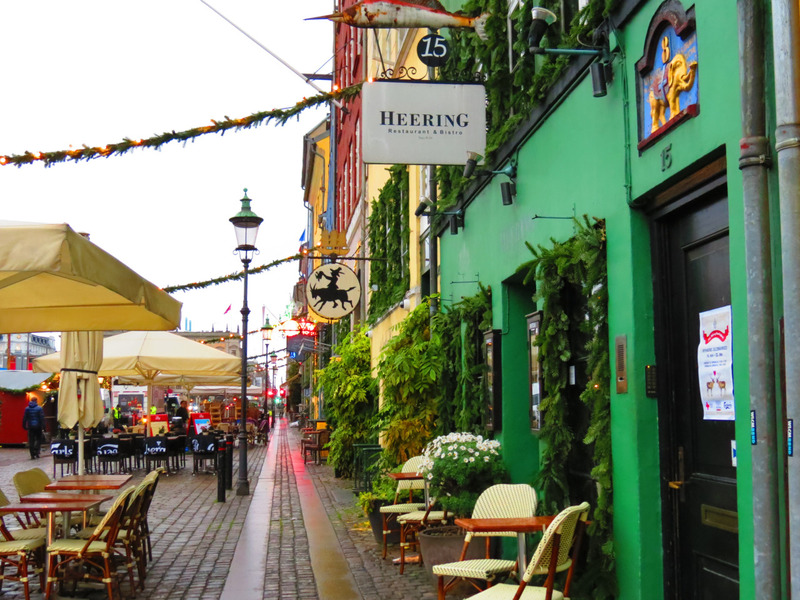 From the brightly-colored Nyhavn to neutrally-colored (yet beautiful as well) alleyways, these are the fantastic places you’ll see as you find your way to Amalienborg. 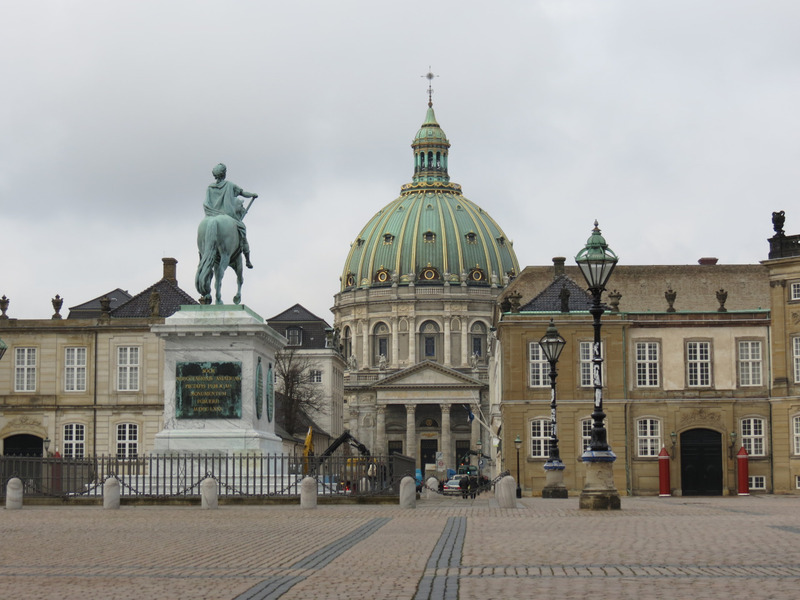 Amalienborg won’t be hard to find, as there are city signs all around leading to this architectural marvel. 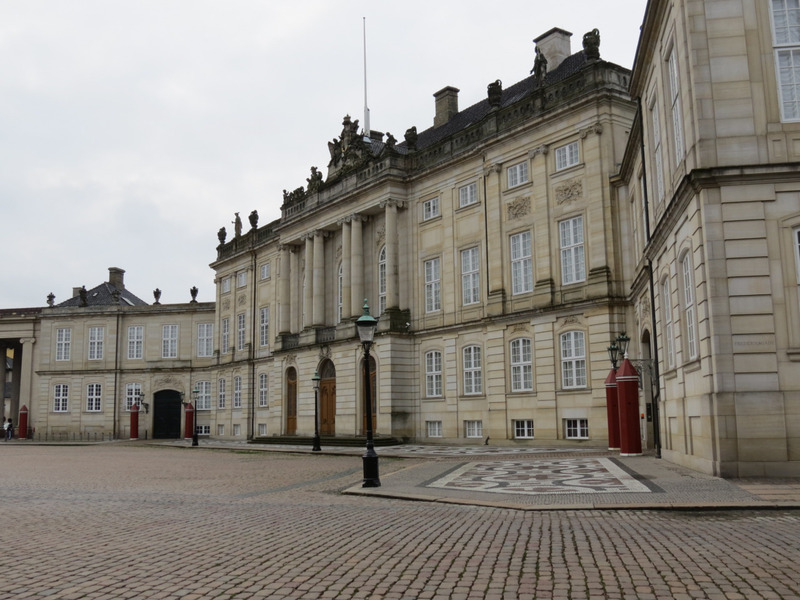 The winter home of the Danish royal family, this palace square houses four mansions exhibiting classical facades, all facing the sprawling courtyard. I’ve never been fascinated with the changing of the guards, but since it so happened while I was there and there weren’t barely any other people in sight, I decided to observe it for a couple of minutes. I later found out that the hats worn by the guards weigh as heavy as 2 kilograms! 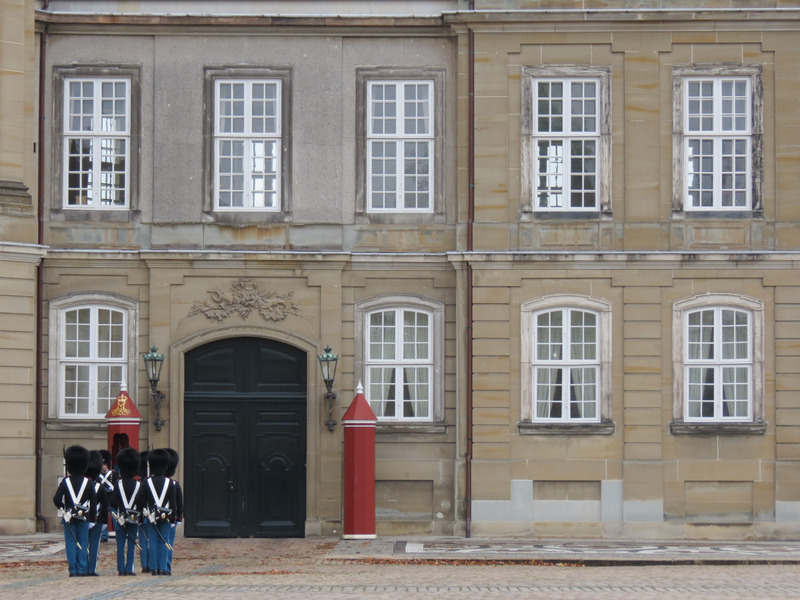 The beautiful Amalienborg Palace courtyard gives you a glimpse of the massive Frederik’s Church. Strøget is the main shopping avenue in Copenhagen. 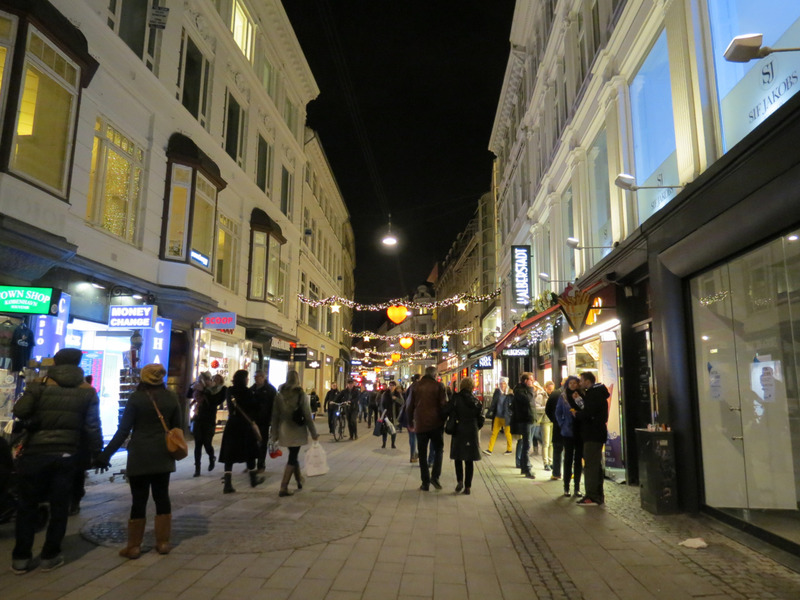 I, unfortunately, was only able to take one photo of this retail heaven, as I was instantly distracted by everything this illustrious shopping district has to offer. You’ll find all the international brands that you’re looking for to local shops that’ll most likely leave you tons of shopping bags in tow. 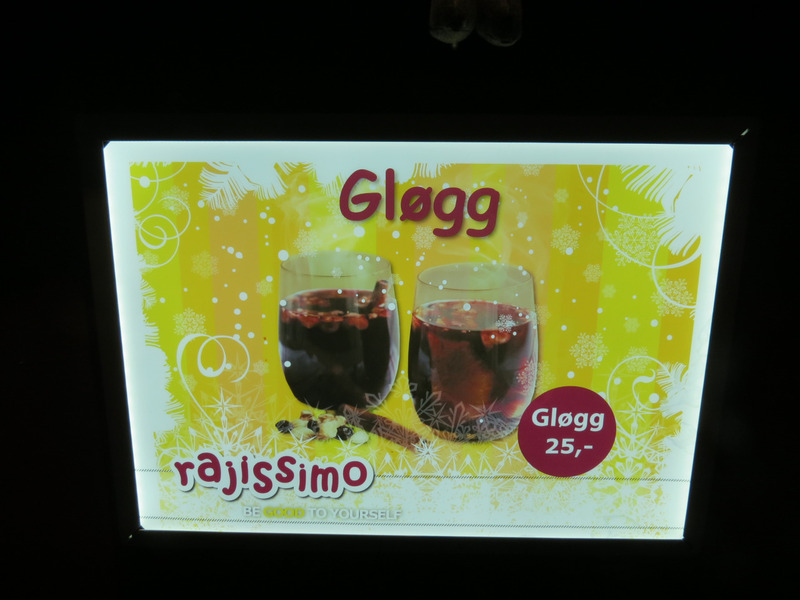 Why even visit a country if you don’t indulge in the local cuisine? 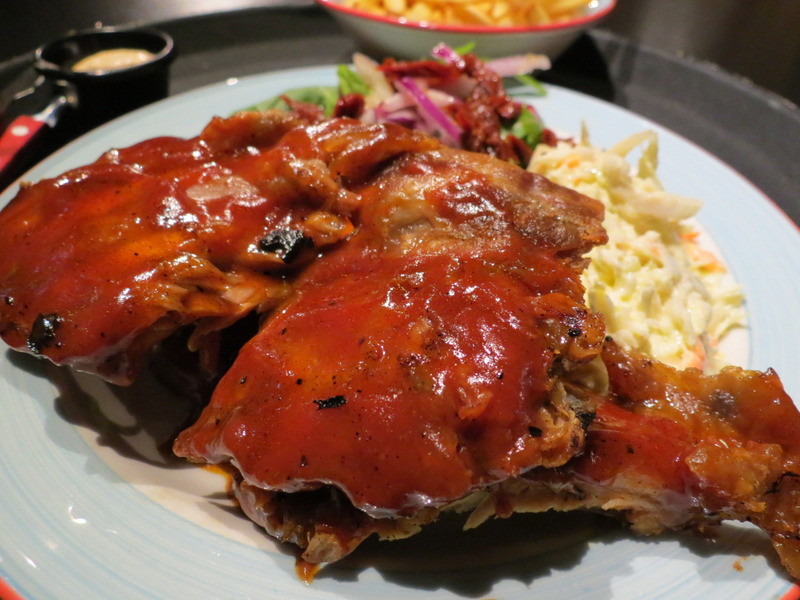 Though I might warn you about one thing: the language barrier might lead you to ending up with this huge plate of ribs like I did. This was one from one of the restaurants in Tivoli, and the lady who was taking my order kept asking if I wanted this and that, and was too shy to ask her to repeat what she was asking, since I didn’t really understand much (though their English is quite good, their accent may confuse you), so I said yes to everything. Hand in hand with the “language barrier,” I tend to brush off computing for how much something I purchased abroad would cost in Philippine pesos, as I end up gasping at how expensive it is and how much more I could get back home. So needless to say, this plate cost me quite a lot, and I didn’t get to finish it! Quite a pity, but this order of ribs was the best one I’ve had to date. Do take note that Scandinavia is incredibly expensive, so you might want to brush-off computing for things if you don’t want to get shocked. Other “cheaper options” you could look into is buying from the food and beverage stalls around the city centre instead of having a sit-down meal, which would surely cost you a lot. 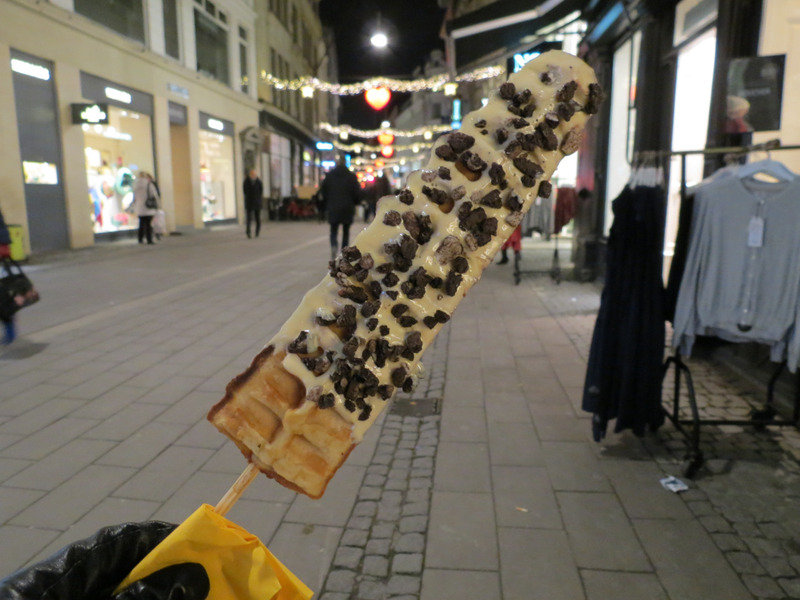 While strolling along Strøget I found this enticing Danish churro stand and told myself that I should have a stick, just to give it a try; and let me tell you that you must not leave Denmark without trying Danish churros! They’re softer to taste than Spanish churros and are richer in flavor, but have the right amount of sweetness. 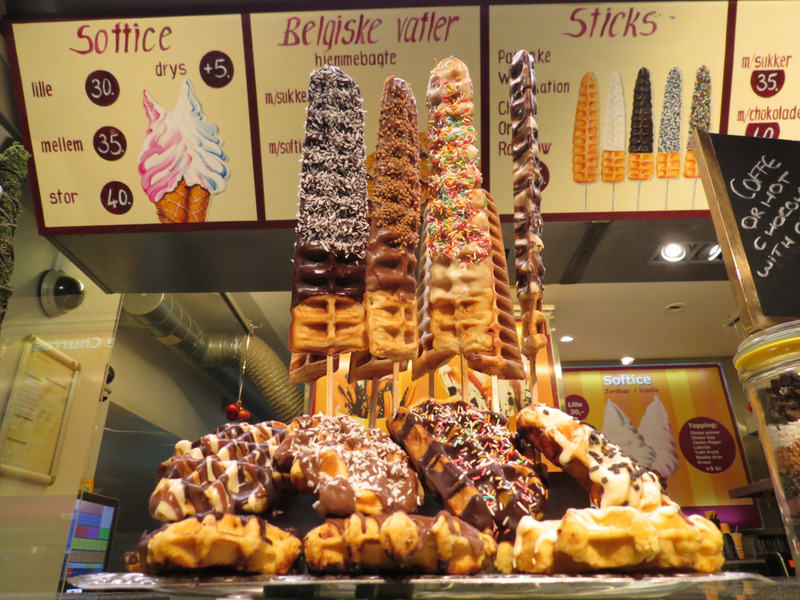 Though this is one of the cheaper food options you’ll have in Copenhagen, a stick would cost you 35DKK, which is around 5-6USD / 250PHP. Again, back in the Philippines, that amount could get you a meal from McDonald’s for two to three people! This is part of travelling though, being shocked by the outrageous prices, yet seeing its value. 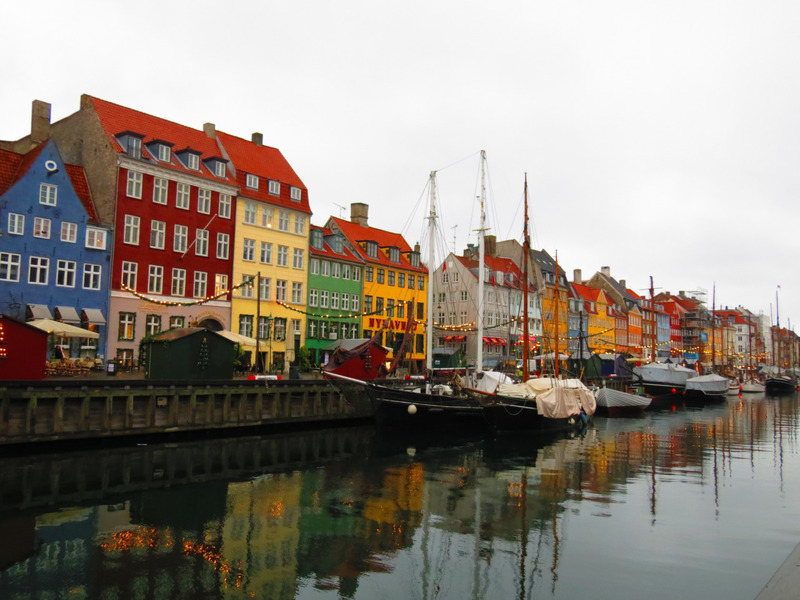 In summary, Copenhagen is gorgeous in every way, and I cannot wait to go back! 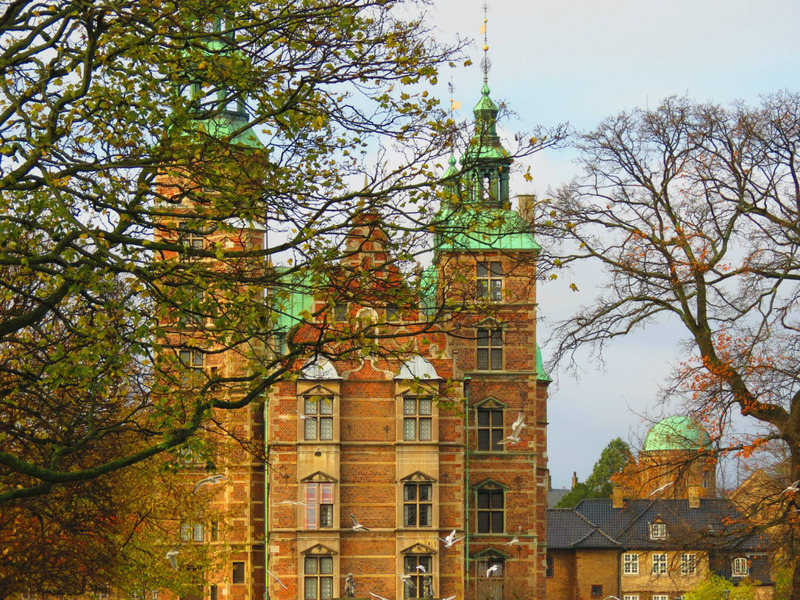 So if you ever find yourself in beautiful Copenhagen, make sure you do all the things listed herein, so you’ll get to make the most out of your Danish holiday!